We had a great visit to the Crown Loft Condominiums located on Laclede Avenue in the heart of the Central West End. One of the units actually has a huge vault in it that was converted into an office area. The units started at $199,000 and offered a variety of styles. These are not your “typical” Central West End Condo. Call Finding Homes for You for more information at 636-386-0659. This had to be an interesting story at some point. 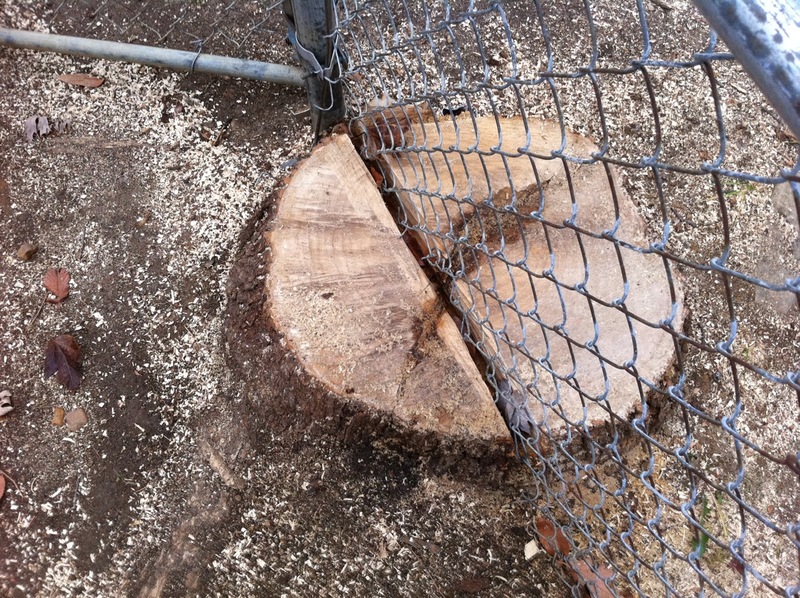 One neighbor on one side, the other neighbor on the other side, and a stump in between. Couldn’t they have just had the stump removed? Here’s a home we toured yesterday that is in foreclosure listed at $234,900. The carpets looked brand new and the paint smelled fresh. There’s rough-in plumbing in the basement for another bathroom and the walk out gives a great view which you can see in the video. This home is priced to sell.